Facebook announced a new addition to its ad-targeting options with the aim of helping advertisers that are seeking to engage users in high-growth countries, as the social network is now allowing brands to target based on the network connections -- 2G, 3G or 4G -- they use most often when accessing Facebook. Facebook announced a new addition to its ad-targeting options with the aim of helping advertisers that are seeking to engage users in high-growth countries, as the social network is now allowing brands to target based on the network connections — 2G, 3G or 4G — they use most often when accessing Facebook. This new targeting option will ensure that users see creative that is optimized for their devices, such as not delivering videos to users accessing the social network via 2G connections. Bandwidth targeting was rolled out Wednesday to all advertisers globally via the ads create tool, Power Editor and the ads application-programming interface, and, as is the case with other Facebook advertising features, all user data is anonymous. People in high-growth countries around the world are coming online at a staggering rate, and a majority are accessing the Internet via mobile networks. In these countries, a mobile phone is much more than a way to place calls and send messages. It’s often a true lifeline, providing information about prices at markets, health care, banking, employment, entertainment and everything in between. The flip side of this rapid change is that network speeds in high-growth countries can vary and infrastructure is constantly changing. This fragmented environment makes it difficult for businesses to reach people with valuable experiences on their mobile devices. 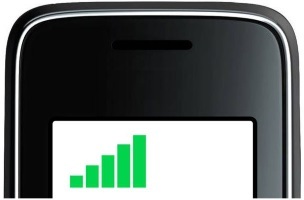 That’s why we’re launching a new feature that enables advertisers to reach people based on the network connection — 2G, 3G or 4G — they most often use when accessing Facebook. Facebook already offers the option to reach people based on the type of device they use (smartphones, feature phones and tablets), as well as device model and operating system. However, advertisers also told us that having the ability to segment based on network connection type would help them create better ad experiences. Paying attention to the details of how people are connecting can also help advertisers craft more compelling localized campaigns. For example, say a device manufacturer in the Philippines is launching a new model designed for first-time smartphone buyers. In order to reach people who may be ready to upgrade their phones, the manufacturer might want to reach an audience of people who use feature phones and also have access to a 3G or 4G network. People want fast, efficient experiences on their phones. Our hope is that mobile network targeting can improve the experience people have with Facebook ads by helping advertisers deliver the right experience while respecting people’s device bandwidth and data costs. 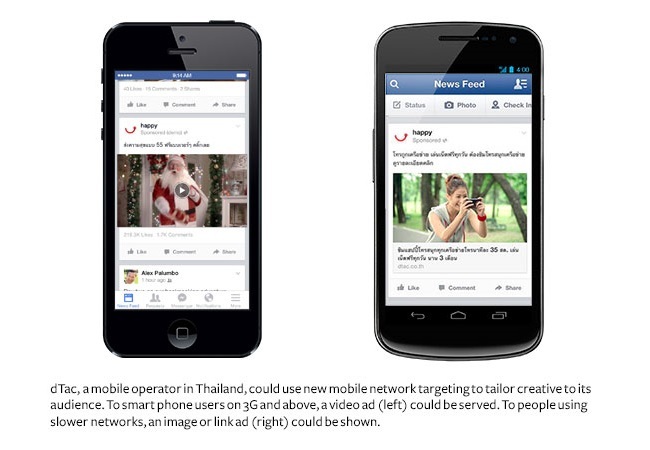 Advertisers on Facebook: Will you take advantage of this new ad-targeting option?